Wednesday 8th February, 7pm – 9pm. Meet some of the contributors to this year’s Leeds Lent Prayer Diary, pray together, and celebrate the launch of this year’s diary. The Leeds Lent Prayer Diary which is published annually, and includes information and prayer requests for over 50 Leeds based projects. This year’s diary was put together by the Leeds Christian Community trust. 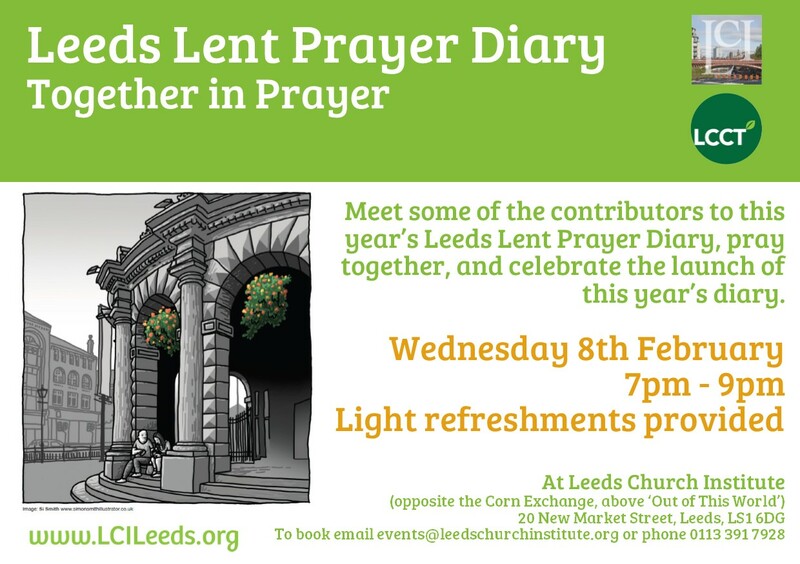 You can find out more about the Leeds Lent Prayer Diary and order your copy here.